Apart the almost weekly videos, it is not usual to find other MOCs in here, although I saw some great photos today that I could not leave without showing them. 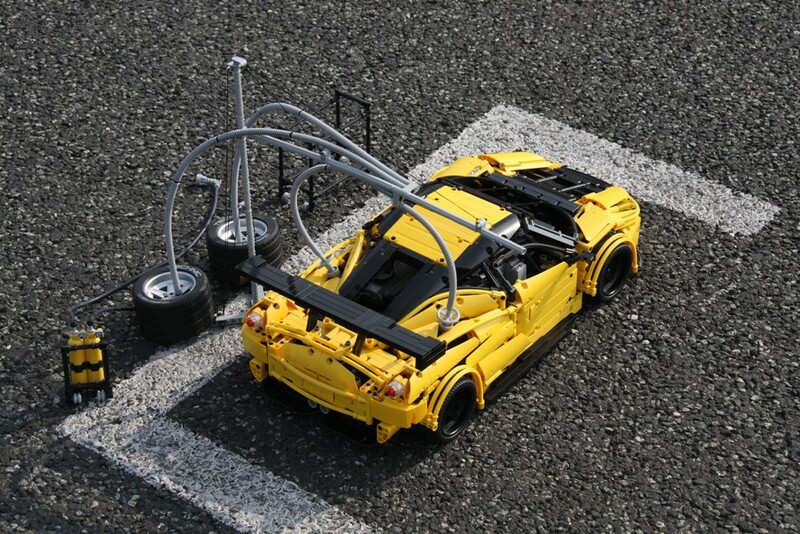 This is the "Ferrari 458 GT2 Kessel Racing" by Koziol. 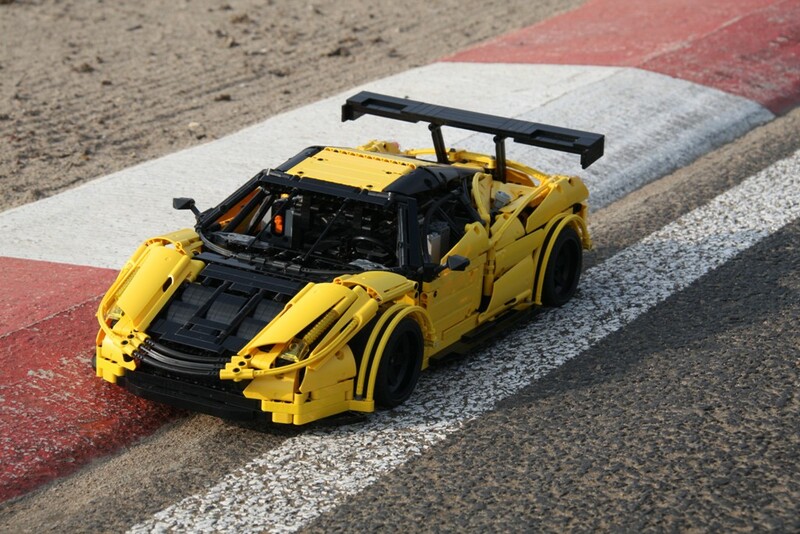 You can find a load of additional photos from this model and the original at the respective Koziol's Brickshelf folder. And if you look carefully you'll certainly find tons of amazing details. The smooth curves, the headlights the fuel inlets, the rear spoiler, the suspension, the functional clutch and so many others. It seems also fully RC. Amazing! The only thing I miss now is a good video, and as it looks there was a great opportunity to shoot one. 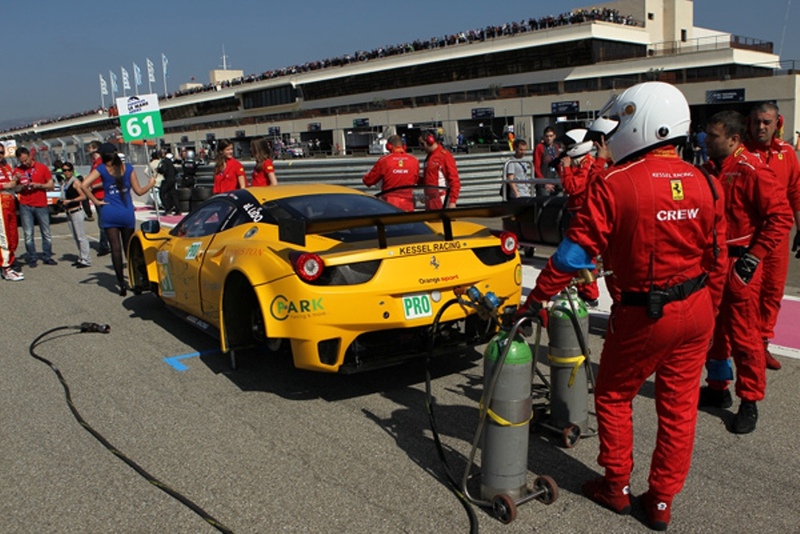 "Kessel Racing is one of the most known team in the International Motorsport world. Thanks to the numerous years of experience of its founder, Loris Kessel, and a great reputation for correctness and professionalism, today Kessel Racing is a true point of reference in the Gran Turismo circuit. The structures, the personnel, the work methods and the constant strive for excellence are the basis of success for a team that offers to its drivers, clients and sponsors a top quality product. 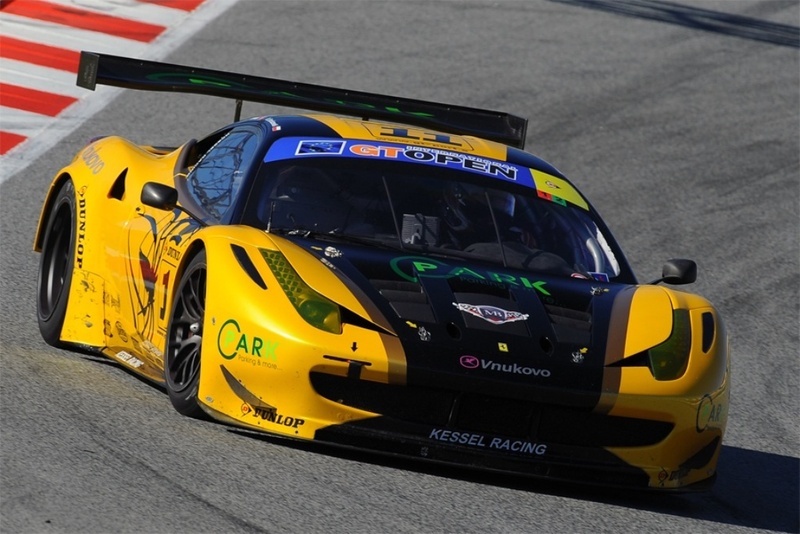 Born just as a racing team, since 2006 Kessel Racing has amplified its activities creating a division dedicated to the construction and tuning of GT cars and another one dedicated to Incentive events."